PALO ALTO, CA: HP has named Henry Gomez EVP and CCO. Gomez, the former SVP for corporate communications at eBay and president of Skype, will also serve as a member of HP's executive council, reporting to president and CEO Meg Whitman. He will be responsible for the company's media and industry analyst relations, executive and employee communications, government affairs, and global social innovation. Lynn Anderson, who was appointed acting CCO in September, has been named VP of communications, reporting to Gomez, according to a company spokesperson. Bill Wohl, HP's former CCO, said in October that he had left the company and was “pursuing new opportunities” in a Twitter message. Wohl's departure came less than a month after HP fired former CEO Leo Apotheker and replaced him with Whitman. In August, Wohl relinquished his corporate communications responsibilities to take on a special assignment for the company's software business. HP consolidated its agency roster in November, dropping Bite Communications and Weber Shandwick. Gomez most recently ran his own consulting business. Previously, he was a member of the leadership team of Whitman's unsuccessful 2010 campaign for governor of California. 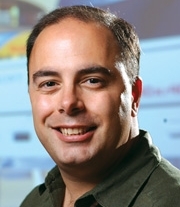 Whitman was CEO of eBay from late 1998 to January 2008. Prior to working at eBay, Gomez was VP of corporate affairs at HBO. He also worked at Hill & Knowlton and Ogilvy, Adams & Rinehart, the predecessor of Ogilvy PR Worldwide.